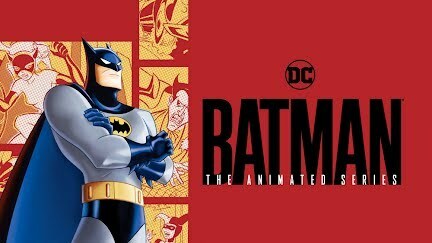 There’s a good chance that you grew up watching Batman: The Animated Series as a child. In fact, there’s probably a good chance you still watch it, as the series is still incredibly popular, earning an HD remaster in 2018. While we revist old memories, we may actually learn that there were a lot of moments in the show that were not kid friendly. For instance, there are plenty of dirty jokes in the show, many of them courtesy of Harley Quinn. She sings happy birthday to Joker in a pie made of cream (ahem). She also asks Joker if he’d like to rev up his Harley in one scene, and we don’t think she means the bike. Harley then confirms she served a small subpoena once, and yes that’s a pun. Bruce Wayne confirms that he’ll be doing something other than squeezing with an attractive assistant and Roxy Rocket has a lot of fun riding a rocket. Of course the show can also be incredibly dark at times. We see Gordon lying on the ground after he’s been shot in one episode and Batman jumping off a roof to end it all in a dream. Joker makes a shocking claim when he sees Harley’s replacement while also showcasing domestic abuse towards her numerous times. Mad Hatter goes completely mad after a girl rejects him and both Dahl and Calendar Girl have identity crisis that go too far. Batman has a horrible dream involving Harvey Two Face and the whole scene with the passing of Batgirl is a little intense. The scene with Clayface and Annie is also the stuff of nightmares, showcasing that the show really is quite intense sometimes.